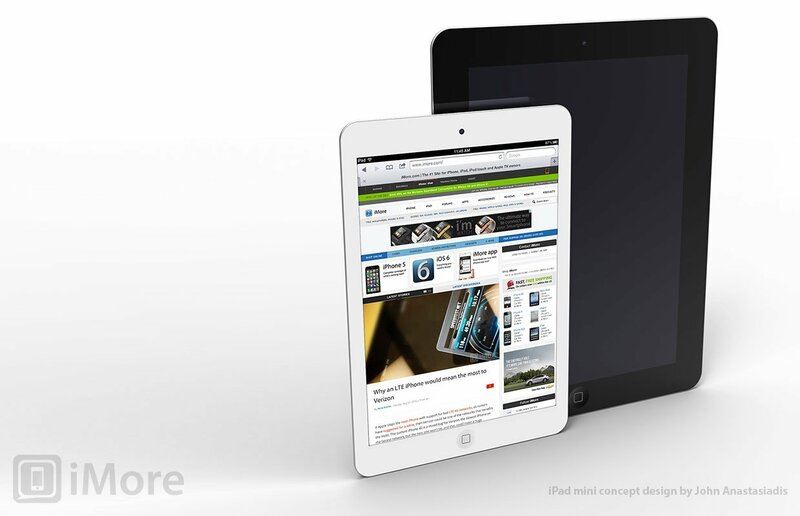 The iPad mini. It's been the subject of rumor and speculation. Its size has been labeled as DOA by no less than Steve Jobs himself. Its very existence has been doubted, and not without reason. Yet the iPad mini is real. 7.85-inches and not crippled by smartphone software stretched out, but made powerful by tablet software at scale. 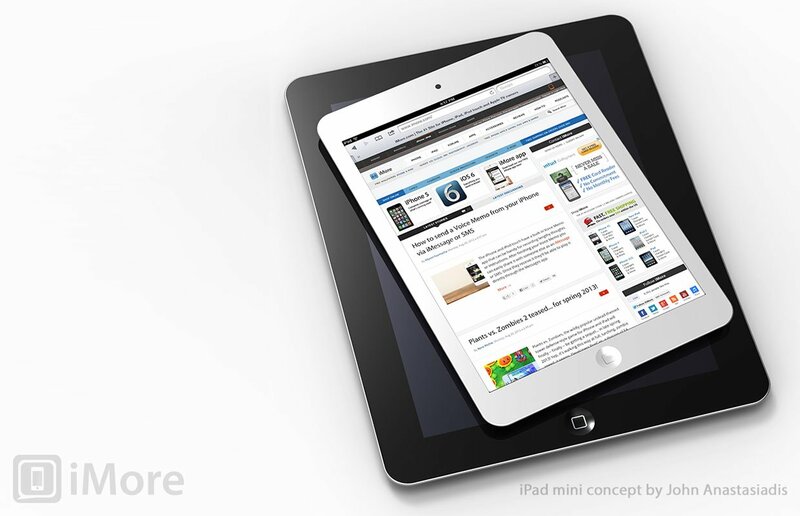 The iPad mini is an iPad, only slightly smaller and thinner, and much, much lighter. And Apple will likely be announcing it on October 23. Apple has been experimenting with smaller form factor tablet for while, perhaps as far back as the original Safari pad project that ultimately yielded the iPhone in 2007, and certainly since Apple SVP Eddy Cue helped warm Apple's late co-founder, Steve Jobs to the idea back in 2011. Back in May of 2012, iMore learned that Apple had decided to go ahead with the iPad mini, that it would be running the iPad version of iOS, that it would cost around $200-$250, and that it was tentatively planned for an October 2012 release. Since then more details have emerged, and the release has gone from tentative to likely. While nothing is ever certain, much less confirmed, until Apple holds it up on stage, here's an updated run through of what we think we know to date. With a screen that diagonally measures 7.85 inches across, the iPad mini may not seem that much smaller than the current 9.7-inch iPad. That's exactly the points. It's not supposed to be a major compromise in screen size or usability. It's supposed to be a major compromise in overall volume and weight. It'll be a similar type of optical illusion to the one Apple achieved with smaller-but-larger, less-of-it-but-more of it iPhone 5. The iPad mini will seem impossibly thin and light, yet the screen will still look relatively big, especially with the reduced bezel around the sides. That thinner bezel is made possible by the iPad mini's relative thinness and lightness, just like the iPod touch's thinness and lightness allows for almost no side bezel. As the physical size shrinks from iPad to iPad mini to iPod touch, so can the side bezel, without overly effecting usability. The important thing to remember in all this, however, is that the iPad mini won't be a big iPod touch. It will be a small iPad. That makes for a huge difference. The iPad has always had an aluminum back, unlike the iPhone and iPod touch which only joined that particular club this year. The iPod touch 5 even comes in multiple colors now, including blue, red, yellow, and pink, just like the iPods nano and shuffle. Because the iPad mini is a lower-cost line, like the iPods, it's tempting to think Apple might release them in fun, flashy colors as well. The current iPad was black only in the first generation, and the more upscale and traditional white and black only in the last two generations. So, while it's possible the iPad mini could go polychromatic at some point, it probably won't be this year. What's more likely is that Apple could use the new finishing processes found in the iPhone 5 and iPod touch 5 to make for an incredibly precise if not incredibly scratch resistant iPad mini enclosure. Neither the 7 inch BlackBerry PlayBook, nor the 7 inch Amazon Kindle Fire, nor the 7 inch Google Nexus 7 have taken the world by storm. In fact, most of them aren't even that usable outside the U.S. due to the lack of content RIM, Amazon, and Google can provide internationally. Apple's goal is to mainstream computing. They want to sell hundreds of millions of devices that delight exactly the type of consumer usually left frustrated and alienated by technology. The iPad mini removes two large, expensive barriers of entry. It will also, frankly, step on Amazon and hard. 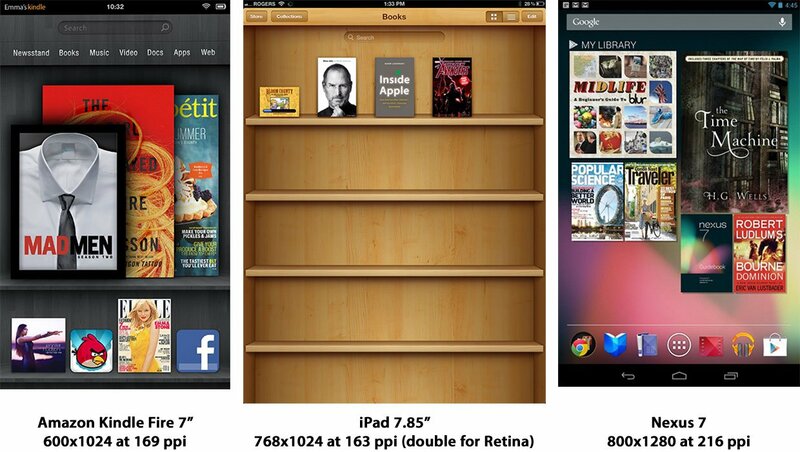 If Apple chooses to put a heavy emphasis on books for the iPad mini, that pressure only intensifies. Right now, chances are if you walk onto an airplane you might see some Kindles mixed in with the iPads. The iPad mini is aimed at fixing that. On one hand, it's hard to imagine Apple releasing a non-Retina iOS device at this point. 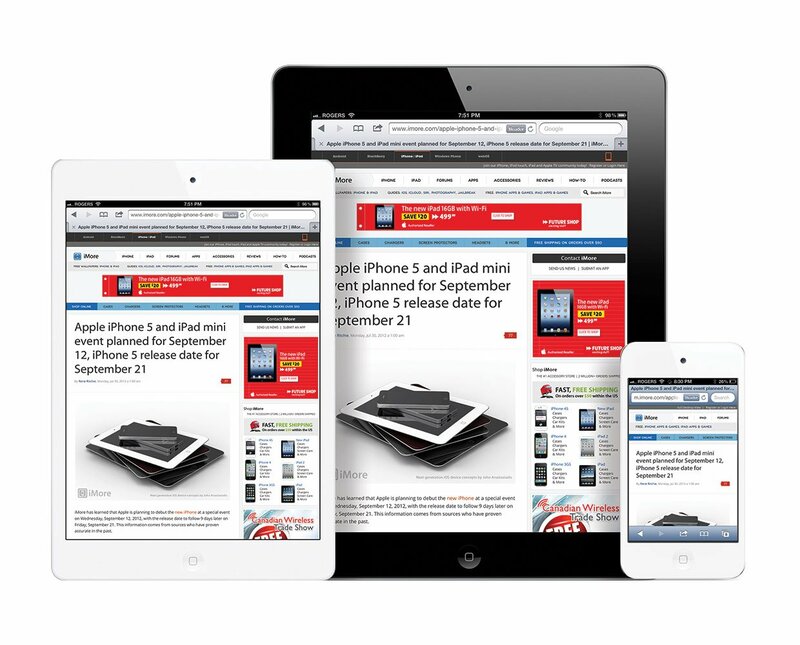 The current generation iPhone, iPod touch, and iPad are all running at Retina resolutions. On the other hand, no iOS device has ever been introduced with a Retina display. The original iPhone, iPod touch, and iPad were all launched with standard displays, and later received Retina displays as part of their upgrade cycles. Rumor has it, Apple experimented with a Retina display in the 2011 iPad 2 but due to price and yield issues, had to wait until the 2012 iPad to ship it. Arguably, 2048x1536 is right at the edge of what the 9.7-inch iPad can handle. Even with a slightly more modern chipset, a smaller device might not have the room for a battery big enough to power it. It's possible Apple has experimented with a Retina display for the iPad mini, and may well introduce one in a future model, but for cost and performance issues, a standard, iPhone 3GS density display sounds more likely this year. What's more interesting, however, is whether or not Apple will use the same new in-cell technology as they do in the iPhone 5 and iPod touch 5. With the touch sensor combined into the LCD, two layers become one and the pixels get closer to the surface than ever before, and it could make for the best looking non-Retina panel ever. There have been some rumors saying Apple won't include cellular connectivity in the iPad mini in an effort to either keep costs down or artificially differentiate the iPad mini from the current iPad. Keeping costs down is a non-reason. The current iPad has a low cost, Wi-Fi only option, and a $130 up-sell for cellular. Apple could and likely will do the same here. And since there's a real differentiator, namely size, Apple doesn't need an artificial one. Sure, the iPod touch has never had a cellular radio, but this is an iPad mini, not an iPod maxi. The Nexus 7 and Kindle Fire 7 are useless to anyone who needs cellular data. It's highly unlikely Apple will ship an iPad mini -- an even more mobile iPad -- that isn't great at being mobile. Put the new, iPhone 5-class cellular radio in the iPad mini, and you have an international data powerhouse. "7-inch iPad", "iPad mini", "iPad Air", or something else entirely, whatever name Apple chooses for the new, smaller iPad will influence how the public understands the device and its place in the iOS lineup. Could Apple sell a $200 iPad mini? Apple has a long history of successfully marketing the same form factor at multiple sizes. Just look at the MacBook Pro and Macbook Air lines. You have 11-, 13-, and 15-inches options (and until a couple of months ago, 17-inches as well). 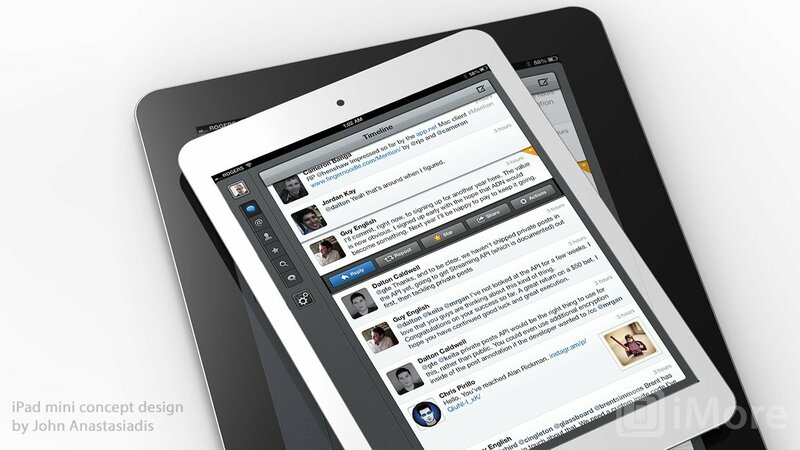 Tablets could just as easily come in multiple sizes. Once you pick an aspect ratio, the size should just be an option. An 8GB iPad mini with a 7.85-inch screen is a legitimate trade-off against a 16GB iPod touch 4 with a 3.5-inch screen at $2xx dollars. A higher capacity iPad mini is also a legitimate trade-off against a higher capacity iPod touch 5. 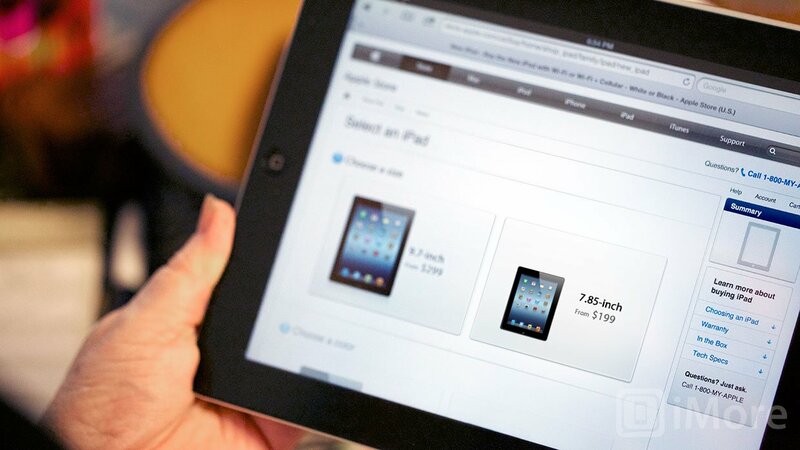 For Apple, lack of size isn't a discountable feature. Mobility is a sellable feature. Nothing other than what Apple thinks is the best balance between what will drive the highest revenue and gain the most marketshare will determine the price point. Rumors have persisted that Apple has more plans for iOS 6 than were unveiled at WWDC 2012 or were made publicly available in the iOS 6.0 release version that shipped back on September 19. Whether or not that's true, and whether or not Apple intends to show off more to coincide with the iPad mini and the release of iTunes 11, it's absolutely true that Apple believes software is the heart and soul of any new device. In the past, when Apple released new versions of iOS alongside new iPhones in the summer, iOS x.1 releases followed new iPod touches in the fall. Last year it took until the spring. If Apple wants a software story to go along with the new iPad mini hardware, however, if they want Scott Forstall up on stage, showing off something other than iPad OS 6 but smaller, then we could well see iOS 6.x sooner rather than later. Taking on Amazon means taking on books, however, and more boldly and broadly than ever before. 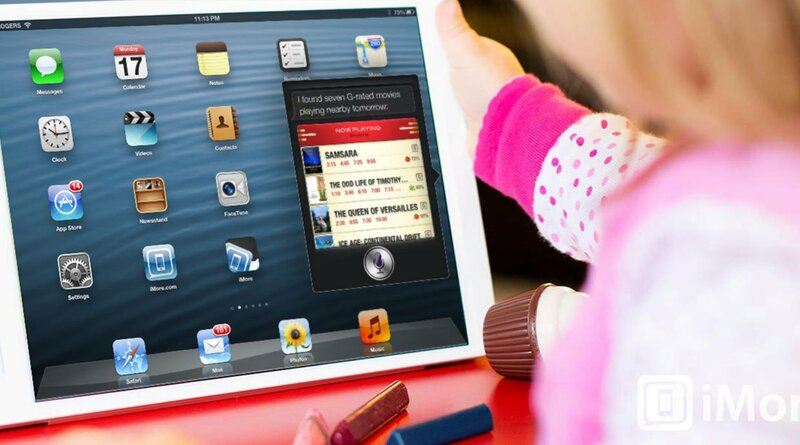 So if Apple is serious about iBooks, we could also see the next phase of that alongside the iPad mini. November 2nd makes a lot of sense. It's the next Friday after the event, which has been the traditional launch day for Apple hero devices in recent years, and it would give Apple as much time as possible to sell the iPad mini during their strong holiday quarter.